Eastpoint real estate provides a haven for local wildlife and the surrounding ecosystem at the Apalachicola National Estuarine Research Reserve. Located at 108 Island Drive, visitors can get a glimpse into the wonderful workings of nature untouched. Explore the land and the waterways. Nine miles of Hiking trails are easily traversed and rejuvenate weary spirits. Local pups are welcome to cruise alongside owners as long as they remain leashed. Favorite spots to traverse include the West Pass Trail, Island Ridge Trail and Sike’s Cut Trail. The onsite nature center boardwalks provide another area to wander through admiring the scenery. Paddling trails are invigorating as well. As part of the massive Circumnavigational Trail encompassing more than 1,600 miles, 9 miles of trails wind through the waters of Chipley Creek and Van Horn Slough. Those wanting to delve deeper and truly commune with nature opt for overnight camping. Multiple primitive campsites keep it real. Availability is on a first come first serve basis and spots are open year round. The Apalachicola National Estuarine Research Reserve is a great place to view local wildlife. 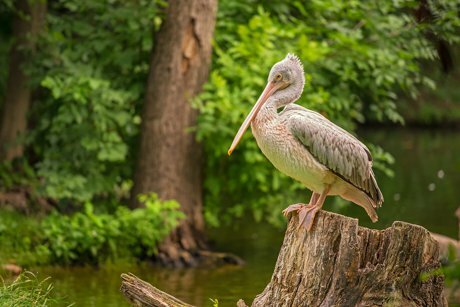 Bird watchers enthusiastically search for bald eagles, white and brown pelicans and other wading birds. A wonderful asset, the Nature Center awaits. The doors are open Tuesday through Saturday from 9 a.m. to 4 p.m. Various cultural and educational displays showcase the amazing resources provided at the reserve and focus on the watershed, estuary, bay and Gulf. Tanks contain aquatic wildlife and plants flourishing in the Eastpoint real estate region. Guests of the center can meander through the building at their leisure basking in a quiet ambiance. Public events are held throughout the year bringing the community close together. A favorite happening, National Estuary Day occurs in September with fun filled family activities and games on the grounds. Educational programs are also frequently in the works for both youth and adults. Residents living on Eastpoint property live alongside nature with ease admiring and appreciating the serene beauty of the land surrounding them. Regular trips to the Apalachicola National Estuarine Research Reserve is a good way to stay true to form and be one with Mother Earth.